Order with 188.00 € more for a free shipping to EU. Size A1 - A4 Adults. Black bar for promotional stripes. Keiko belts are soft and "fabric-like", so they stay tied even better. Size I4 belt is thinner than other Keiko belts and it's intended for small children. It has no black bar. 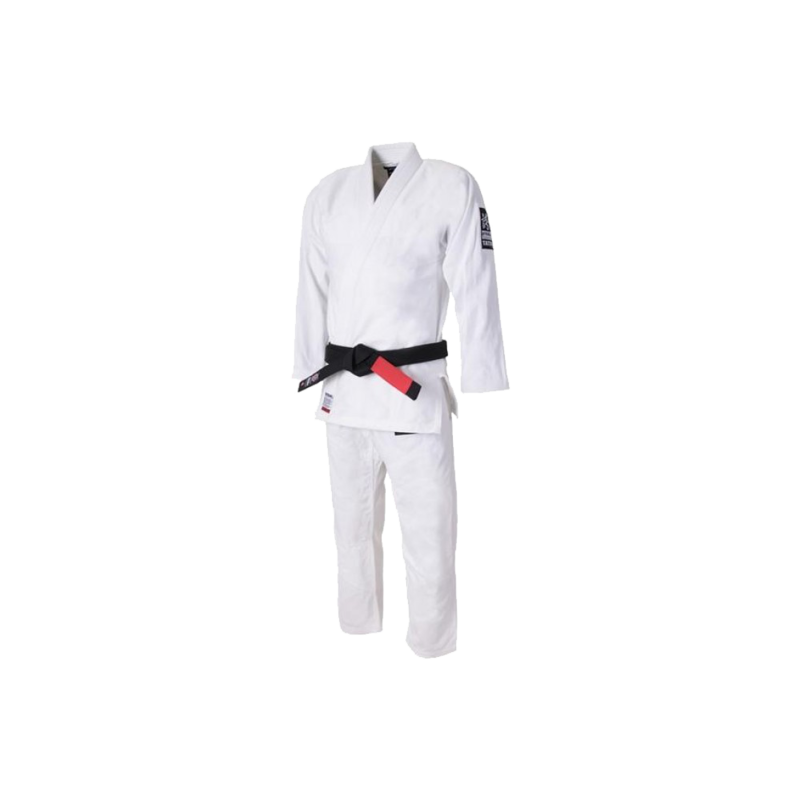 Tatami Fightwear's Mens Zero G V3 Super Lightweight Competition BJJ GI. After months of design and testing Tatami Fightwear are proud to introduce their Zero G V3, one of the lightest BJJ Gi's in the world. If you have liked the previous incarnations of the Zero G you'll love the Zero G V3. Tatami Fightwear's Zero G V3 BJJ GI has been designed in conjunction with some of the worlds best BJJ athletes, and is constructed so that the design, durability, and fit across all sizes is the best it can be. The Zero G V3 with jacket and pants weights 1.5kilo (A2 Mens) making it one of the lightest BJJ GI?s on the market and as always comes with a free Tatami Fightwear Zero G V3 branded GI bag. NEW Zero G V3 branding is strategically placed on the jacket shoulders, back of the neck and both legs. Rubberised collar to stop moisture absorbtion during training and competition. In sublimation printing colors are printed directly into the fabric. This technology is used very commonly in sports textiles. Sublimation printing is suitable for fabrics in which the majority is polyester (Sublimation printing can not be made in to cotton fabric). In sublimation printing technique the color is vaporized at high temperatures deep into the fabric fiber. Printing is eternal so it does not wear, fade or peel over time, such as silk screen printing or thermal transfer labels. In sublimation print quality is not knowable by hand, which means it does not constitute the fabric of any "film". Multi-color sublimation is only suitable for white or very light colored textiles. Other colored clothing can be sublimated fabric darker colors. Sublimation is also produced in the so-called full-sublimaton products, then usually white fabric sublimated desired look like even before the product pile sewing. The price of sublimation printing is significantly higher than in other printing techniques, but it doesn’t have start-up costs which makes it suitable for very small piece quantities and makes the product truly give of high-quality product. The data needed vector format.